Short on time but high on wanderlust? We got your back with this power-packed mini-vacay to the Sundarbans! Here are all the deets. Let’s start with some good news: even though the trip will be wrapped up in just one night and two days, there will be no compromise on the true jungle experience. Get ready to experience everything organic- he mangroves, the rivers, the birds and if you’re lucky, the tigers too! 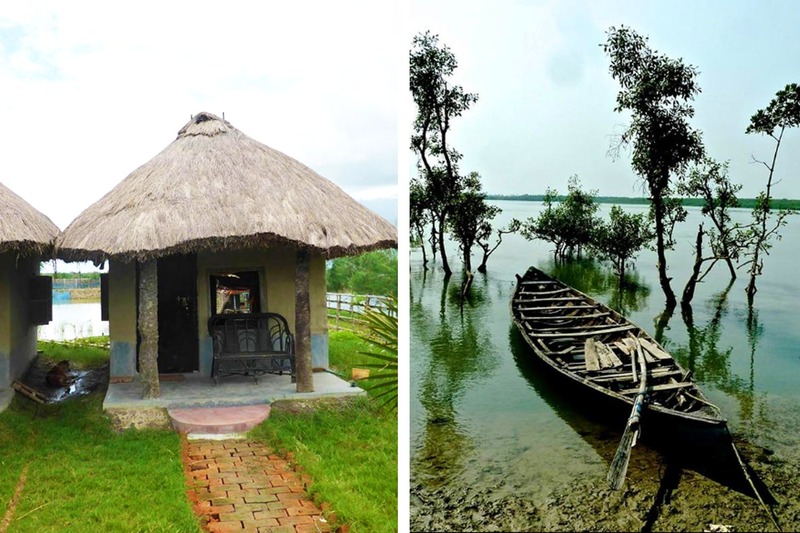 Tour De Sundarbans has an Eco Village where there are authentic ‘eco huts’ -with thatched roofs, mud walls, and everything! It’s easy to see why Eco Village is so popular among tourists and adventurers, thanks to the sprawling 4-acre huge forested areas. The huts are non-airconditioned, with double or triple or four beds, replete with western style toilets. The best part about the huts is the mud and the thatch- which roughly implies that the huts stay cool in summers and warm in winters. Power supply? 24*7. Geyser? Not really, but hot water will always be available on request. Hygiene? Utmost priority. Fans, lights, and charging points? Yes, yes and yes. About the prices. For an experience like this, it’s surprisingly affordable at around INR 4,000+ per person for a night and two days including meals, a boat safari et al. In their words, there are no hidden costs, so to have all of this for under 5000 bucks is amazing. Weekends just got lit! There are loads of little places to make your own cozy happy place- be it the hammock terrace, the star-gazing terrace, the banks of the Gomor river, or the gazebo over the pond. You can chat up the local fishermen and honey collectors who frequent the village, and maybe even get some fresh produce for yourselves? There will be local cooks whipping up delicious local flavours, taking your taste buds to an adventure of their own. All in all, this 2-day long mini-vacay is all about rejuvenating in an untainted natural ecosystem.